This dashboard provides an at-a-glance overview of institutional philanthropy for Puerto Rico. This effort is part of the campaign to “Get on the Map,” which is a national partnership between Foundation Center and United Philanthropy Forum. 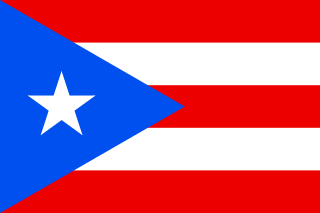 Foundation Center built this site to improve the quality and availability of public data about Puerto Rico philanthropy more generally after the damage caused by Hurricane Maria in late September 2017. All data in this dashboard is sourced from Foundation Center’s databases of philanthropic information. Each tab in the dashboard contains a distinct subset of these databases as described below. Foundation-level data found in the “Foundations Overview” section includes all non-terminated independent, corporate, community, and operating foundations, as well as grantmaking public charities indexed by Foundation Center. Sources of data for these foundations include IRS information returns (Form 990-PF for private organizations, Form-990 for community foundations and public charities), and foundation reports. Assets are stated at market value. Total giving amount includes grants, scholarships, and employee matching gifts; it does not include all qualifying distributions, e.g., loans, PRIs, set-asides, and program or other administrative expenses. Grants-level data found in the “Foundation Giving Priorities” section comes from Foundation Center’s Foundation Maps database of all publishable grants, foundation administered programs, program-related investments, and grants to individuals awarded by independent, corporate, community, and operating foundations as well as public charities. These data points update weekly based on available information; totals for the most recent years will likely change as new grants are added to the database. Sources of grants data include IRS information returns (like IRS Form-990 and Form 990-PF) and information reported directly to Foundation Center through the Electronic Reporting Program from private and public grantmaking foundations in Puerto Rico. These grants are indexed according to the Philanthropy Classification System (PCS) which structures the data available in the grant details along the issue, population, and strategy focuses of the grant. Available grants data percentage represents the completeness of the data available for a given year relative to the known amount of total giving for the year. Comparisons to earlier data points should only be done after at least 50% of the total giving is represented by the aggregate grants data. Lags in information flows between the IRS and Foundation Center can delay information up to 18-24 months after a foundation submits their tax return. Foundation Center is committed to sharing data as soon as it is available. In order to improve the completeness of the data available for your region, please consider submitting your grants directly through the Electronic Reporting Program. Email egrants@foundationcenter.org for more information. Grants-level data found in the “Non-Puerto Rico Foundations Giving to Puerto Rico” and “Overall Giving to Puerto Rico” sections comes from Foundation Center’s Foundation Maps database of all publishable grants, foundation administered programs, program-related investments, and grants to individuals, awarded by independent, corporate, community, and operating foundations as well as public charities, to recipients located in Puerto Rico to provide an overview of funding flowing into the state. These data points update weekly based on available information; totals for the most recent years will likely change as new grants are added to the database. Sources of grants data include IRS information returns (like IRS Form-990 and Form 990-PF) and information reported directly to Foundation Center through the Electronic Reporting Program from private and public grantmaking foundations. For more detailed information about Puerto Rico philanthropy, visit one of our Funding Information Network Locations to access our robust information tools for free or directly subscribe to Foundation Maps. With millions of grants from 2006 to the present, innovative ways to visualize funding data, and the flexibility and precision to tailor research, Foundation Maps helps funders and nonprofits access the knowledge they need to make strategic decisions and strengthen their impact. Learn more about Foundation Center data. Established in 1956, Foundation Center is the leading source of information about philanthropy worldwide. Through data, analysis, and training, it connects people who want to change the world to the resources they need to succeed. Foundation Center maintains the most comprehensive database on U.S. and, increasingly, global grantmakers and their grants — a robust, accessible knowledge bank for the sector. It also operates research, education, and training programs designed to advance knowledge of philanthropy at every level. Thousands of people visit Foundation Center’s website each day and are served in its five regional hubs and its network of more than 400 funding information centers located in public libraries, community foundations, and educational institutions nationwide and around the world. In 2019, Foundation Center and GuideStar became Candid. For more information, please visit foundationcenter.org, call (212) 620-4230, or tweet us at @CandidDotOrg.